Why Are we All Indians Now? Because Elizabeth Warren says so. Thanks to Ms. Warren I know I’m ENTITLED to go to the front of the line… being considered a person of color and all. I officially have a “Say Anything I Want” card because I’m a minority… white guy. Here’s the skinny, My Great-Grandfather was Cherokee. Actually Cherokee. Not “I think so..” high cheekboned Cherokee. He was the Real Deal. Given Ms. Warren’s official determination that she is no more and almost certainly actually less, Native American than the average American I’m practically a Chief. Shoot, if her evidence of “I’m Qualified for Special Status” Native American Heritage is the bar I’m not only going to belly up and have a drink I’m going to expect BIA to start sending me checks directly. I’m also going to forfeit my identifying as a Female Octogenarian Royal and the subsequent demand I will be addressed as “Your Majesty” for a Crying Italian “Indian” on Horseback with the updated demand I will be addressed as “Chief”. Frankly, I’m not sure what she is thinking but we should be hearing from the Tribes any moment… because if this is all it takes to be considered Native America, the age of Sovereign Nations is OVER. Elizabeth Warren is the new Small Pox covered Blanket. We’re ALL Indian Now! If she was smart she would have kept these results secret… but then again if she were smart she would not be a Socialist. A Response from the Cherokee Nation link HERE. 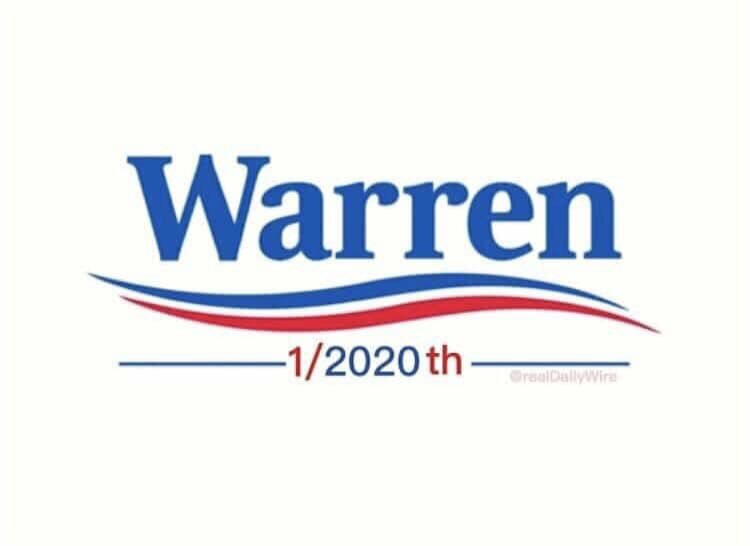 This entry was posted on Monday, October 15th, 2018 at 2:53 pm	and tagged with 000, 000 bet, 1%, A Million Dollar bet, anti-american, anti-capitalist, Cherokee, cherokee nation responds to Elizabeth Warren DNA test, Communist, Elitist, Elizabeth Warren, entitlement, fauxcahontas, fauxchahontas, Iron Eyes Cody, Liberal, People of Color, President 2020, Privilege, Progressive, socialist, The Nations, The Tribes, Trump, Warren for President and posted in History, Humor, News, politics, Uncategorized. You can follow any responses to this entry through the RSS 2.0 feed. « M A M A! 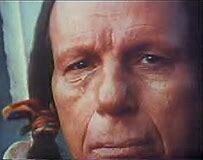 I always wanted to have a Cherokee friend!